ACMA India delegation visited Hungary 2019. A “Networking Seminar” took place at the Budapest’s Marriott Hotel organized by the India Embassy ended the day with the presence of H.E. Ambassador Kumar Tuhin – Embassy of India, Parliamentary State Secretary at the Ministry for Innovation and Technology – Péter Cseresnyés, Dénes Szabó -Major of Nagykanizsa and a body of 10 professional leaders from Automotive Component Manufacturers Association of India (ACMA). The auto component leaders of tomorrow said the automotive market is witnessing rapid technological transformation, therefore to fulfill further required needs, their visit is looking for technological whereabouts, where both countries can implement. At the meeting was present the major of Nagykanizsa, who talked about the possibilities and the intellectual capacities of the region. It was also said by president of ACMA Mr.Ram Venkataramami their study visit to Hungary is mainly collecting market data and the whereabouts in the territory of Hungary to assess the possibilities to establish a base for ACMA here in Central Europe where in the future production of the required components are feasible. Also added that in Hungary, Poland and Slovakia gaining overall information will be forward to the 633 members to the association and they will evaluate and decide on the future. It was also said to keep in mind that in a little over a decade or two from now digital technologies will make up hold the value of an automobile. Mechanical complements will give way to electrical, electronic and digital systems presenting new opportunities to both incumbents firms and new entrants. The consumer will ultimately benefit with a range of choices hitherto unseen in the industry…Exciting times are ahead. Beside visiting Hungary, the group had visited in the same theme Poland and will head from Hungary to Slovakia to assess the opportunities. To-day before the official opening the journalists and business partners were able to look around at the newly opened Alza showroom in Budapest. Alza Czech web store continue to expand. The huge two floored space store cover almost 5000 square meters which is the biggest e-shop in Central-Eastern Europe. The items, objects, equipments, supplements can be easily viewed on the shelves tastefully placed. In 2017 Alza eshop was ranked 8th in Hungary. The thought and label Alza has started in 1998 at a student compas – at Blanice – Praha. Has been operated in the Czech Republic market for over 24 years. Annual turnover grew to over €820 million (255 Billion HUF) excluding VAT in 2017. The company now has over fifteen hundred employees, offers more than 200,000 products across EU, and operates with super modern logistics facilities. The company is present with its Showrooms and Stores in Austria, Hungary, Slovakia and Czech Republic, but also offers products across the EU as well. Their top categories are computers, electronics, appliances The High figures show the interest in small home appliances such as: coffee machines, mixers, etc, also Smartphones (Xiaomi, Samsung, Huawei, iPhones, the Accessories (monitors, external drives and so forth. Alza … the company´s … extraterrestrial plush toy mascot is a distinctive figure and very popular among children. This coming Friday on October, 5. 2018. – 8 a.m. for the public opening the new Alza Showroom at District, XIII., 54-58. Róbert Károly Blvd. There will be a rich program for the adults and children. Alza has stepped strongly into the future and has made significant steps in the field of innovation in Hungary, the Total investments exceeded €2 million (approximately: 646 million HUF). Customers can see 1500 top-notch products exhibited. There are 15000 products in the warehouse available right away. The exposition’s highlights are VR, the Intel Gaming zone, the Microsoft XBOX and PS4 Zone, the Alza SmartHome, and future products. Alza has provided customers with 5 new AlzaBoxes as well. These storage boxes are available weekly throughout 24/7. Alza.hu accepts payment via crytocurrency (Bitcoin, Litecoin), and offers a wide variety of products including TESLA – sale of electric cars, various services and delivery options, as well as attractive events such as Black Friday. The company also operates with social responsibility, helping non-profit organizations (approximately 40 non-profit Czech organizations per year). In Hungary, Alza has started to give aid to the Bornemisza Péter School and at the press opening the headmaster and a couple of students were present and was handed over to each one a notebook by the Alza CEO. As was said the school puts great emphasis on the modern, efficient development and support of children and they wish to join in the field of supporting them. Alza delivers its goods and has open stores during the weekend. Customers can pick up their orders at a wide network of self-service AlzaBoxes. The company also offers a unique Alza Premium club program, supports start-ups, has opened Alza TechZone in Holešovice for gaming enthusiasts and hi-tech enthusiasts, has launched the shop of the future, has opened a professional photo studio, SmartHome, and constantly expands its product portfolio. Alza awards : „The Most Trusted Brand“ „E-shops“, „Crystal Lupa“, „MasterCard Dealer of the Year“. The company behaves responsibly – last year it supported over 40 nonprofit organisations. Need not go to the doctor to get a prescription to heal, relax, watch the world go by before attending to the First International Beer Festival in the City of Gyula. Not-so-secret goal was by many beer and concert lover visitors to attend, taste the smooth craft and artisan beer enjoying their time. A 4 days event with good live music concerts, food, playground for children and most of all not just the official juries to jury the craft beers and breweries but the visitors were welcome to taste the smooth craft beers and to have a ball. Gyula used to be the capital of the county, until the First World War. For mainly visiting Gyula in the first place is its healing hot spa and whilst in the city visiting other main attractions such as the Almássy Palace, the former home of count Almássy and the adjacent Medieval Castle. Since the 19th century in its current form, but the original structure dates back to the 17th century. The city was the main home of the Almássy Family until the World War II.. The size of the city is 255.8 km2 (98.8 sq miles) and the population is cca. 40 thousand. Taking into account of the size of Gyula, visitors beside visiting the so-called “liquid bread” i.e. beer, were most probably witnessing many touristic venues not even expected. The fan off Thursday welcoming the audience was by Dr. Ernő Görgényi – major of Gyula and prominent members of the beer business. Within opening the festival spoke about the aim of the competition jointly with the festival to bring beer culture, a chance to introduce itself at Gyula. The goal was to get acquainted with several small breweries products and their members. At the opening ceremony was urged the prizes to be handed over to the beer winners award on Saturday. Also added that there are two breweries operating in Gyula and in Békés County at Békésszentandrás distillery as well, This beer festival from now on will also call the tourists visiting Gyula whilst healing at the hot spa to have an unforgettable memory happening at Gyula in Békés county. This tipical event was organized for 17 years at Békéscsaba. This year, the event will not take place there. The local government of Gyula was immediately next to having the beer festival. Therefore, to the new venue an agreement was made between the major of Gyula and Varga-Bora to organize the beer festival surrounding the Castle of Gyula. Most probably not on my own by saying there is no other Beer Festival in Hungary and maybe in Europe that is arranged in the heartbeat of a Medieval Castle, not to mention having its peaceful hot spa just steps away from the event and many other attraction. The 4 days of the craft beer masterpieces and street food dishes were the focus of attention, as well as publication of the Central European Beer Awards 2018 competition. The beer competitors came from Hungary, Belgium, Austria, Slovenia, Serbia, the Czech Republic and Slovakia to participate in the international beer festival, namely small brewery breweries and homemade breweries in the competition. It was in 16 categories with 167 samples examined by international jury, with Czech, Slovakian and Hungarian members. Exactly 15 people tasted the liquid bread jointly 3-member commissions. The competition director was László Kovács from Slovakia who said, lot of very good quality beer had arrived. He explained that drinks were thoroughly criticized for fragrance, taste, overall impression and other aspects using a state-of-the-art computer program, according to an American system. The Sporty Year 2016 begins with the splash-off at Győr when it becomes Capital City of Water Polo. Our men’s national team this time will not be in Budapest, instead at Győr on the Xth Volvo Cup before the European Championship. At the press call was present: Dénes Kemény – President – Water Polo Association, Gábor Bodrogai – Managing director of Volvo Car Pty Ltd, Dr. Tivadar Somogyi – Győr city’s deputy mayor. Dénes Kemény – president of the national sports federation said the tournaments in the past was totally designed as to help the whole Hungarian water polo, ia to be held annually in different provincial scene. The past year was an exception, when in the capital was arranged for the teams at the BVSC on the Szőnyi road the water pool games. In 2016 again the city of Győr will be the home for the polo-games. Tibor Benedek said that between this year’s opponents, Italy and Spain teams is also important that the Hungarian team will obtain the Rio Olympic quota. The main goal is that at the Volvo Cup to have that team, which is also to be listed in the European Championships . Also mentioned that a day before the tournament in Győr will be having a sparring waging with the Spanish polo team. Gábor Bodrogai – managing director of Volvo Car Hungária Ltd. and the title sponsor, said, they continue to support the homeland’s water polo new generation. This means at this year’s tournament there will be supporting financially the performance for goals. This means after every Hungarian ball hits the net, the Hungarian association will receive one hundred thousand HUF. offered by the car company. The Hungarian national team also consider this event as THE prolusions to the European Championship. The Volvo Cup is a superb opportunity to bring together from across Nation and other countries water polo lovers to be supporters of their own teams. At the Volvo Cup the audience may experience water polo members to win or the otherwise yet the event surely will guaranty an experience of unforgettable moments around the swimming pool. The opponents will be beside the Slovak national team the Italian and Spanish teams. Schedule: Sunday, January, 3. – 5 p.m. – Slovakia-Spain and 7 p.m. – Hungary-Italy. Monday, January, 4. – 5 p.m. – Spain-Italy and 7 p.m. – Hungary-Slovakia. Tuesday, January, 5.- 6 p.m. Slovakia-Italy and 8 p.m. Hungary-Spain. At the Volvo Cup press meeting Dénes Kemény – President of the Hungarian Water Polo Association announced the day’s good news by saying, the tournament tickets are already out now. 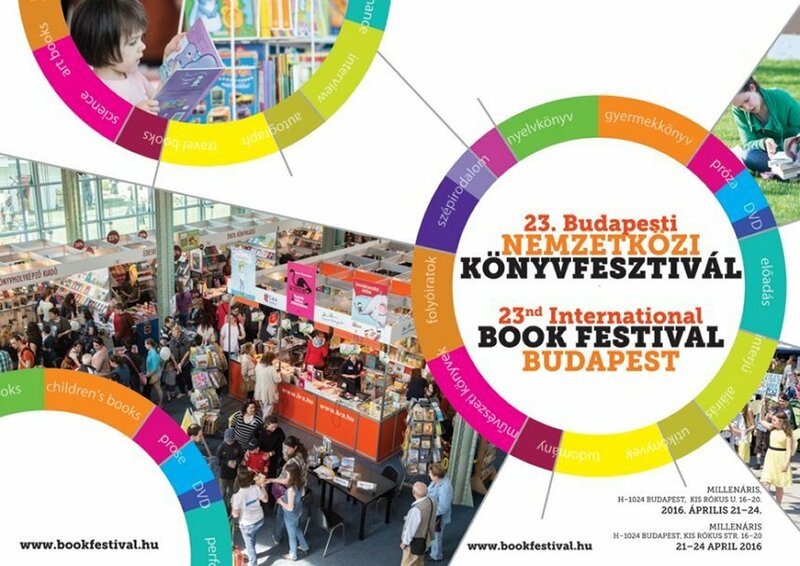 From to-day can be purchased through the www.tex.hu or personally in Győr at the ticket office. The price to all the seven water polo games is 9900HUF, and for the time being can only be bought passes. The press conference was opened by Ruszinkó Adam – Deputy State Secretary for Tourism – Economy Ministry saying, the Hungarian winter sports tourism aspects, especially in the domestic field in skiing opportunities are in-and-around the country. The Tourism in the current year pointed out that the data in all respects shows for the positive expectation to Hungary to be this year’s most successful year ever in tourism. Continued by saying, in the first three-quarter of the year 2015., 8.16 million visited Hungary and within this number was 20.75 million guest overnight spent at commercial accommodations. The number of guests by the number of guest nights was higher than the previous year’s. In particular, domestic tourism for almost half of all overnight stays represented the number in increasing. The Deputy State Secretary emphasised to be looking forward to a great season by Hungarian skiers. Taking into account the figures of the previous year’s season five hundred thousand Hungarian skier, keeping up in staying domestically even for just one night. A new turn in the traveling tourism could be by locals and foreigners. For many enjoy to spend time at 2 to 4 nights as a short relaxing trip to the wellness spa resorts. He added, this time can be spent absolutely and worthwhile to go up to the mountain side for skiing for also that period. This performance would positively contribute to further strengthening of the domestic tourism in the off-season period. The domestic enterprises really are unto do as best of everything in their power so that in Hungary the ski lovers could have the option of staying in Hungary for skiing. The domestic ski resorts are close in distance and on the one hand are more affordable than slopping down in other European country. For the foreigners, who just spend a short time with small children or want to have a bit of ski teaching in advance is the right place to come to enjoy the available pre-ski training at good conditions and need not have to spend a day abroad in learning the first technical, physical steps in skiing. The Hungarian ski pistes in wintertime also welcomes the ski lovers and with the well-equipped plastic shells is perfect to gain the acquired knowledge of skiing for domestic smaller kids, young adult and adults. Tamás Glázer – Tourism deputy general manager at Tourism – Hungary outlined the following … Their project is „Enjoy skiing at home”. The beginners and pros skiers can enjoy themselves on the ski slopes in Hungary. The priority of the winter season tourism in stimulating the domestic and ski-related accommodations, most restaurants are small or medium-sized enterprises that accept currency in the domestic. The goodies of the Tourism vacation cards were also emphasized. The quality of domestic services reached the level to beginner to pros, everyone can feel well on different tracks. Then Tourism general manager also confirmed that the enquiries indicate already to a good chance that 2015-2016 can be a record year for tourism in Hungary. This year’s winter season has launched 10 times within the Budapest Winter Invitation promotion campaign by the Hungarian National Tourist Office. The collaboration was already made by the providers in the tourism service by the Hungarian Association of Hotels and Restaurants. The campaign’s goal is to popularize Budapest within the winter services in increasing tourist traffic and extend the time of staying by local and foreigners visitors. 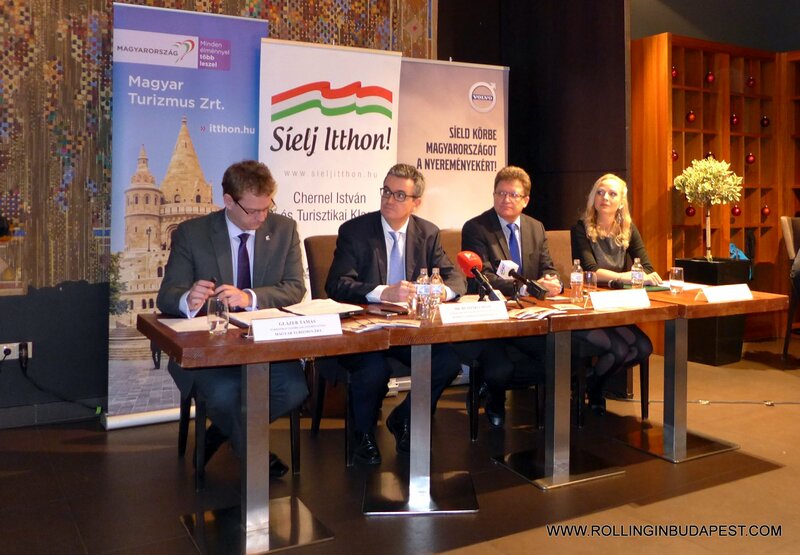 At the press conference István Chernel – Ski and Tourism Cluster talked about the name itself of Cluster. Staring with first the connected to István Chernelházi Chernel (1865 – 1922) – Hungarian ornithologist, who in 1893 (Norway) introduced the ski and skiing. More than 1893 promotional articles have been published and in 1896 he wrote and published his book titled “The Footsledge Manual” This was the first edition in history that a Hungarian describe the sport. Up to this day his works hung in the domestic skiing basics with technical skills. Cluster is designed for sport, physical activity and domestic promotion of the culture of snow sports and winter sports. Just a quick overview of ski facilities and in skiing around the world … there are 80 countries, 2,119 ski lifts are operating a total of 26,934. More than 6 million hotels are available around the globe for skiers. On Earth more than 100 million people ski regularly, most of them in Germany (14.6 million), the US (13.6 million) and Japan (11.5 million), while in Hungary, 0.5 million (497 thousand). The number of skiers world is highly significant, but he was happy to say there is a slight change in growth, and hopefully by the locals and foreigners it will continue to increase. According to the figures, the dynamic growth in China and Eastern Europe is expected to target the non-skiers groups by 2020. More and more people are traveling for winter vacation to places. In recent years, the general trend of increase in demand for shorter (three days) ski programs (several times, shorter duration). These three factors significantly assist in the development of domestic skiing. Summarising the “Skilands” in Hungary there 42 ski trails, 70 lifts, 30 lit up at night. During daylight and lit up as it darken at 27 ski schools. A total of 46 ski lifts in operation at the snowy field. The Cluster has 26 members, of which 10 pieces of snow-covered ski resort at Dobogókő, Eplény, Kékestető, Lillafüred, Mátraszentistván, Nagy Hideg Hegy – Great Cold Mountain, Normafa -Norma Wood, Sátoraljaújhely, Pécs, Visegrád.